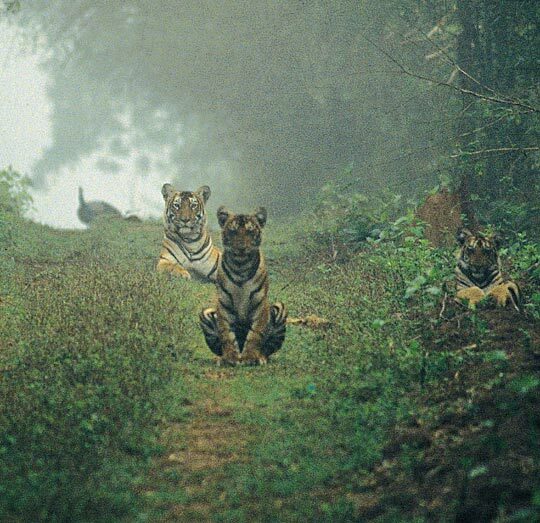 Tigers loiter along a jeep trail in India's Nagarahole National Park, one of a dozen parks taking part in the Tigers Forever Initiative. 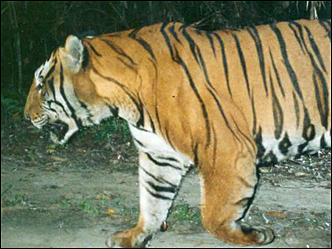 The Wildlife Conservation Society tracks tigers using "camera traps," which photograph animals when they cross an infrared beam. The Wildlife Conservation Society (WCS) on Thursday announced plans for what they are calling the Tigers Forever Initiative -- a new approach to conservation with a goal of increasing tiger numbers by 50 percent over the next 10 years across WCS tiger sites. Alan Rabinowitz, director of the Science and Exploration Program at the Wildlife Conservation Society, says what makes this new approach different is that the WCS will be holding itself accountable for a significant increase in tiger numbers over a specific period of time. In a dozen field sites, scientists will be focusing not only on the tigers but on the safety of their prey and the actions of their human neighbors. They'll work closely with local governments to gather more baseline data on tigers in some areas while increasing anti-poaching activities at other sites. In a National Geographic Radio Expeditions interview, Rabinowitz notes that this kind of accountability is a new concept for conservationists. "We're putting our reputations on the line and holding ourselves accountable that we can grow tiger numbers," he says. "At the same time, we have the knowledge, expertise and track record to accomplish this goal." Alex Chadwick: There are, by your numbers, a little more than 5,000 tigers in the world today -- 5,000 left. At those sites where we feel we can have major influence working with the governments, we are promising an increase of at least 50 percent in the tiger numbers. Measurable increase that we will monitor every year. Fifty percent in the number of tigers over a 10-year period. AC: So to increase that number by 50 percent in just 10 years, how do you go about doing that? 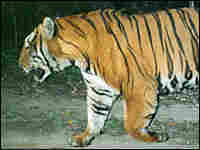 AR: The Wildlife Conservation Society's tiger sites comprises approximately, by our best estimate, about 1,000 tigers. 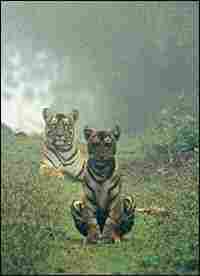 About one-third to one-fifth of the world's currently known population of tigers. AC: In parks or in public conservation areas where WCS either -- either you're the managers or you're there as researchers. AR: Right. Within those sites, we're picking four of our absolute best sites. Calling them the top priority sites, sites that contain approximately 600 of the 1,000 tigers. We will be keying in on the core areas of those sites and setting up monitoring -- actually scientific and sociological monitoring -- so that we'll be following the tigers, their prey. 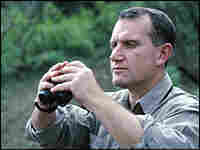 And we will also be following what the people are doing: what the poachers are doing, what the guards are doing. And we will be monitoring numbers and getting at the critical threats which are affecting those tigers in those core areas to set up a model that nobody has ever done before. Become accountable. Actually show that if you address the critical threats that are hammering tigers, whether they're politically correct or not to address such threats, that you can easily increase tiger numbers. AC: And what kinds of threats do you mean? AR: There are two major threats right now to most of the tiger populations, depending on what area of the range you're talking about. One of the threats is the direct killing of tigers themselves. That's what most people are hearing about. Actually, a far greater threat to the tiger over most of its range is the hunters killing the tiger's food. Specifically, large prey such as Samba deer and wild pig that the tigers need to survive and that the people are killing not just for their own survival, because that would be acceptable, but actually for the commercial market. To either sell for meat or to sell body parts into the traditional medicine trade. The loss of prey is what's creating what we call empty forests, the "empty forest syndrome." Areas of seemingly good tiger habitat which don't have tigers in them. Even though those are protected areas in many cases, because the prey has been hunted out. And thus tigers have no food to eat and they're just dropping in numbers slowly until they're twinkling out. You won't find many international conservation groups who will brag about, or even tell you, that they're funding initiatives to go after local people, to try to stop some activities that local people are doing, or to be paying local people to be informing on other local people. But frankly, one of our most effective strategies is informant networks. Finding out who the primary hunters are. Because it's usually... a few key hunters who are tied into a commercial network. The fact is tigers are still sliding toward extinction. If we're going to save tigers, we've got to pull out all the stops and address some of the hard issues and actually get at why tigers are going down.